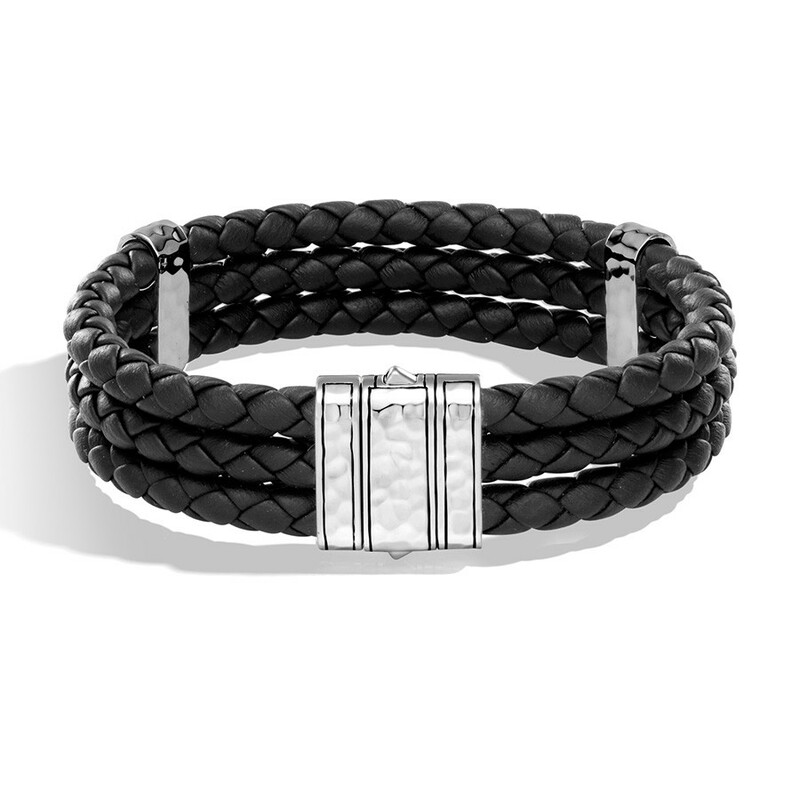 With a bold mix of black leather and silver, this John Hardy bracelet will be on every man’s wish list. 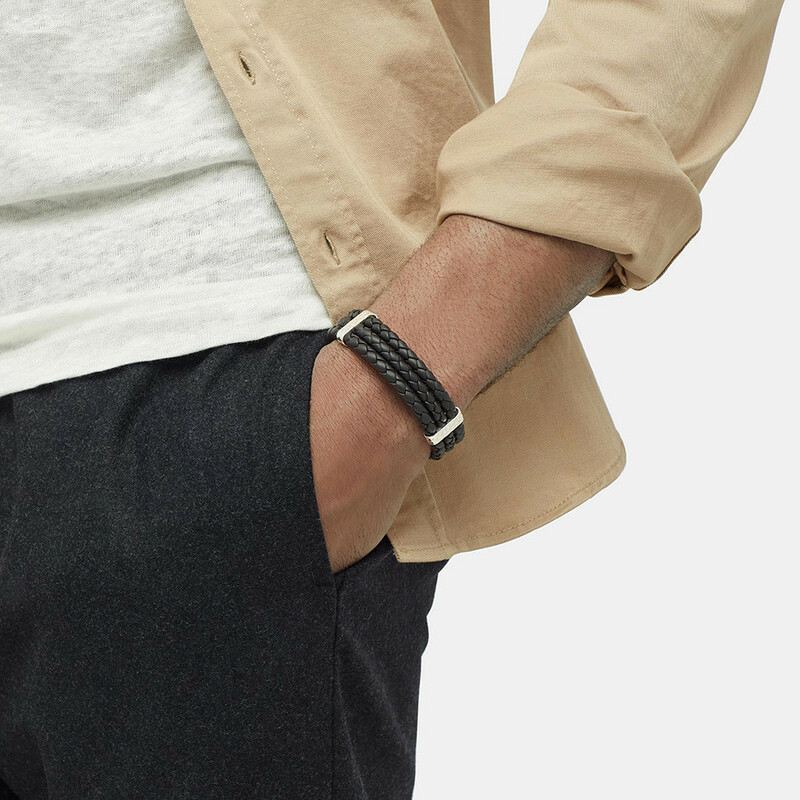 The variety of textures – from the hand hammered sterling silver to the smooth leather strips – echo elements of nature and ancient traditions. Wear this Classic Chain collection stunner any time you want to express your style.